Surveys show staged homes sell for 17% more, on average, than non-staged homes. And they spend less time on the market - think of the savings on utilities and mortgage costs! Whether your Boise area home is high-end luxury, a North End Classic or a wonderfully comfortable suburban family home, we will make it look its very best! We don't just move the same furniture from house to house - we custom stage YOUR home. We specialize in working with Homeowners and Realtors to transform vacant houses often seen by buyers as lifeless and unappealing into beautiful, inviting, and highly desirable "Showhomes". Call or message us today to learn how we can partner together to help you! Dahli is originally from Monterey, CA and moved to Boise, ID in 2013 along with her daughter. She has a cat and a puppy and is very involved within her community. Not only does she volunteer at important nonprofit functions within her Grotto 18 networking group, she also volunteers her time at the Women and Children’s Alliance and Inside Out. She enjoys building relationships within her community by getting to know people and learning about their styles, background and what they do. She is easy to talk to and that makes her easy to work with. In her spare time, Dahli enjoys spending time with her daughter and likes the outdoors such as camping and walking in the park. She loves coffee shops. You may run into her at one from time to time. Home Staging is the art of professionally preparing a home for sale in the real estate market. The goal is to present the home in such a way that it appeals to the greatest number of potential buyers. I have been privileged to work with realtors and homeowners in that endeavor. Staging services are broad in scope; from assisting realtors by staging vacant homes, or as a member of their team coaching homeowners through the process of depersonalizing, and finally staging their property. Every client and property is unique; I love design and love the challenges and opportunities each job presents. 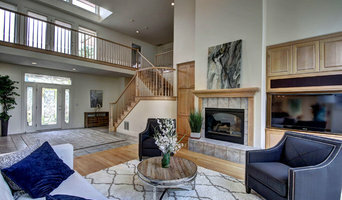 Premier home staging in Boise, Idaho Sullivan Homes Staging specializes in creating modern living spaces that invite buyers to settle in, sit down, and visualize their new home. With over 15 years of experience in house staging, real estate, sales, and home renovation, our creative team knows what it takes to help you get more showings, sell your home faster, and make more money. Home staging and design enhancement. Serving the Boise area providing staging and design services to builders, developers, real estate professionals and home owners. Provide furnishings in an unoccupied home in an effort to make a potential buyer feel comfortable and feel themselves living in the home. "We stage - you sell"
Staging and Redesign Our staging and redesign service is customized for every client. We take what you have, add a little magic and help you maximize the saleability of your house. Just moved in or simply need help redecorating, we help you find your design style and create a room that brings you comfort and joy!
! HOME STAGING AND INTERIOR DESIGN offering services to Builders. Realtors, and Homeowners. Our track record speaks for itself in helping to sell homes fast! We are famous for the "wow" effect! JOSIE MOSIE AND CO. WELCOMING YOU HOME! A collection of home design and decorating ideas that will capture the beauty of your home for a faster sale of your home. Insured and experienced, Center Stage Interiors is a professional staging company with a growing inventory. We strive to give our clients great value for their dollar with down to earth personalized service. We know that a good stager focuses on neutralizing distractive décor, deleting personal effects, and identifying areas that need cosmetic improvement. With our hands-on experience in home renovation and decorating, we possess the skills to envision a home’s potential AND see it through to realization. We look forward to every opportunity to make the magic happen… Choose us as your listing agent, and we will also provide complimentary staging services! Home Staging and interior design for builders, realtors and homeowners. Color, fixture, flooring, surface selections for new construction. Assists builders' clients with selections and design considerations as well. See our website at www.stirlingstaging.com for staging images, services, etc. Trying to sell your vintage house? Beatnik Vintage Decor offers a huge selection of sleek furniture and decor to match the classical look of your house. Our items help sell any house, we can make any room look bigger and better with our clean and slim designs. Home and house staging can involve any number of techniques. 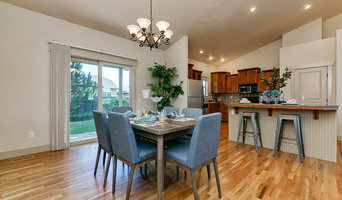 If you think your current interiors will be appealing to potential buyers then you may just need the help of Boise, ID home staging services to make sure your home is impeccably clean, tidy and organised; ready for viewings. Or a home stager may wish to hide the more personal touches of your home, such as photographs and souvenirs, and make it more neutral so new buyers can see the property as a blank canvas rather than someone else’s home. On the other end of the scale, a Boise, ID home stager can radically change your home if necessary, by redesigning rooms, repainting or revamping the whole house in order to increase the property value. Home staging companies in Boise, ID may even wish to change the exterior of your house in order to make your home more inviting. For example, they could repaint your front door and windows, clean up the frames, weed the garden and add extra touches like elegant door numbers and potted plants. 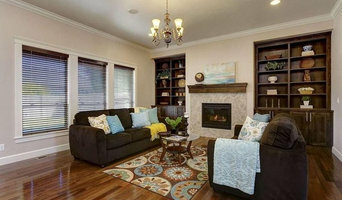 The level of house staging services Boise, ID property staging companies offer will vary and they may actually work with other contractors to carry out their work, such as painters and cleaners. Here are some related professionals and vendors to complement the work of home stagers: Interior Designers, Photographers, Estate Agents. Having a discussion with an experienced Boise, ID home staging professional will help you decide what you need to do to your home to increase its selling value; whether it’s a case of simply home dressing or styling, or if you should really redesign and redecorate your home. Even if you’re not selling your home but instead want to get some house staging tips for hosting VIP guests or a special event, or perhaps you own a property or room that you rent out and you want to dress it up for photos, then home staging experts can offer their advice and staging services for these too. Find a home stager on Houzz. 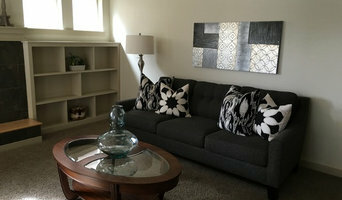 Narrow your search in the Professionals section of the website to Boise, ID home staging professionals. 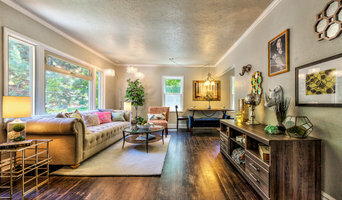 You can also look through Boise, ID photos by style to find a room you like, then contact the professional who staged it.